Agent Spinner was founded in 2017 as a straightforward online and mobile casino offering the very best real money slots in an easy no-download interface. Along with a small selection of table games and bonuses, it best suits players new to online gambling rather than experienced high rollers, but it looks set to steadily improve with each passing update. Find out our verdict of each of the site's aspects - bonuses, games, interface, licensing, security and support - in BettingPlanet's in-depth review. Agent Spinner Casino unfortunately does not accept players from the following countries and regions: United States of America (and its dependencies, military bases and territories including but not limited to American Samoa, Guam, Marshall Islands, Northern Mariana Islands, Puerto Rico, and Virgin Islands), Australia, France, Greece, Estonia, Belgium, Spain, Italy, South Africa, Denmark, Turkey, Hong Kong, Afghanistan, Ethiopia, Iran, Iraq, Jordan, Kuwait, Pakistan, Syria, Nigeria, Singapore, Slovenia, Romania, Bulgaria, Portugal, Philippines, Poland, Israel, India or Yemen. Visit our top recommended online casinos guide for in-depth reviews on casino sites which cater to players from your country. As a fairly new casino, we found Agent Spinner’s welcome bonuses and offers are a little on the low side. They are, however, perfectly fine for new players adjusting to the intricacies of Internet gambling and want something simple to start off with – though we hope to see this area improved as the site ages and builds up its membership base. 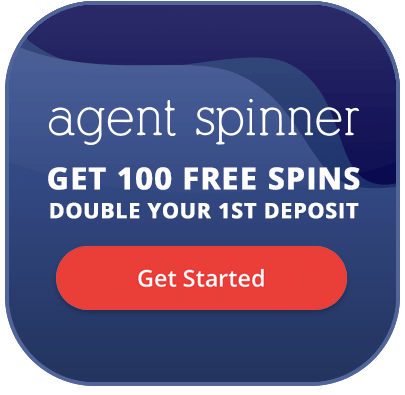 Double Your Money + 100 bonus spins: All new players who sign up for an account at Agent Spinner and make their first real money deposit (minimum $20 and maximum $100) will get their opening balance doubled, as Agent Spinner will match the amount by 100%. All you have to do is enter the promo code ‘DOUBLE’ in the cashier section while processing your deposit, and your bonus is credited to your account instantly. Players from Finland, Norway and Sweden will also get 100 bonus spins just for signing up, though they need to verify their mobile phone number before it can be processed. 10 bonus spins are added to your account over the first 10 days of registering. Overall the bonus was welcome, but the extremely high wagering requirement (50x) and the cap on the maximum amount of cash you can win from your bonus spins bonus ($200) dampened the value significantly. If you base your online casino choices on the quantity and quality of the site’s bonuses and promotions, we recommend seeking another online gambling destination – at least until (or if) Agent Spinner is willing to put forward more enticing promotional offers. 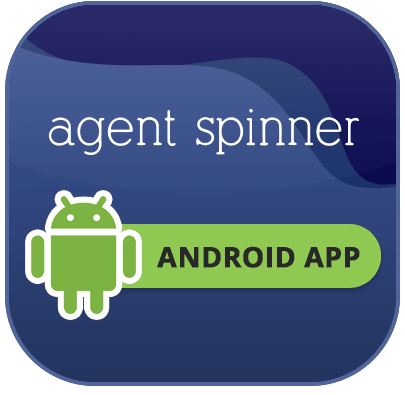 Agent Spinner is an instant-play, no-download online casino with a fully optimised mobile site compatible with Android, iOS and Windows OS devices. What this means is anyone can access and play its games across desktop, laptop, smartphone and tablet without the need to download and install any special software to run it. It is similar to 90% of online casinos on the market today, but in our testing we found its ease-of-navigation and speediness (particularly on mobile) quite a step above a lot of other newcomers to the iGaming market. Overall, the site is very clean, organised and easy to jump into the user account menu or any of the 800 + real money online slots and the handful of table games currently offered by Agent Spinner. It has an impressive number of the best video slots on the market, which is surprising for a new real money site, but it has a disappointingly low number of table games. Its live dealer section makes up for that deficiency, with around 21 high-quality live casino titles streamed in high quality directly to your screen with attractive croupiers to match. Along with practice play/free play mode, which allows visitors to sample their games without having to sign up or deposit any cash first, this is a big plus in our books. The types of casino games available at Agent Spinner include: blackjack, red dog, roulette, super wheel and online slot games in multiple formats – 3D, progressive jackpot, three-reel, five-reel and Ways to Win. New casinos must offer a diverse range of banking options for players worldwide if it wishes to succeed. Thankfully in our testing, Agent Spinner supported a large range of services that suited our individual preferences and local gambling legislation. Navigate to the ‘Wallet’, ‘My Account’ or ‘Payment Options’ sections on Agent Spinner’s home page to see the full list of current deposit and withdrawal methods, along with their minimum and maximum deposit and withdrawal rates and processing times. We were quite impressed overall with the hassle-free nature of our deposits and we withdrew our money without additional problems after we completed our (admittedly high) playthrough requirements. The first thing we always check when reviewing online casinos is its license and regulation and Agent Spinner passes the test with flying colours thanks to its official licensing from the Malta Gaming Authority (MGA), one of the world’s leading and trusted online gambling jurisdictions. Agent Spinner openly displays its MGA Dynamic Seal of Authorisation and license numbers at the footer of every page, so any player can check their legitimacy for themselves and have peace-of-mind that they were secure. Along with 128-bit Secure Socket Layer digital encryption technology employed to safeguard financial transactions on the site, we have no problems or issues with Agent Spinner in regards to legitimacy and safety. 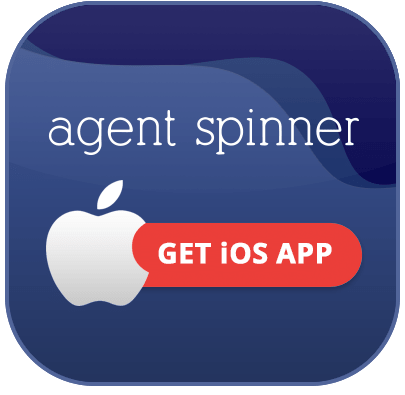 Agent Spinner needs some work, but with an already huge and diverse range of 800 + online slots, live dealer titles and a small selection of table games, it already offers more gaming experiences out of the gate than many longer-established sites. Its current offers and promotions are on the stingy side and its laughably high wagering requirements (compared to other online stellar casinos, such as Slots Million) significantly lower our enthusiasm to recommend the site to anyone but newbies who just want somewhere casual and easy to play the slots every now and then, but its site design and ease-of-access makes us hopeful the Agent Spinner team will continue to improve their services as time goes on.